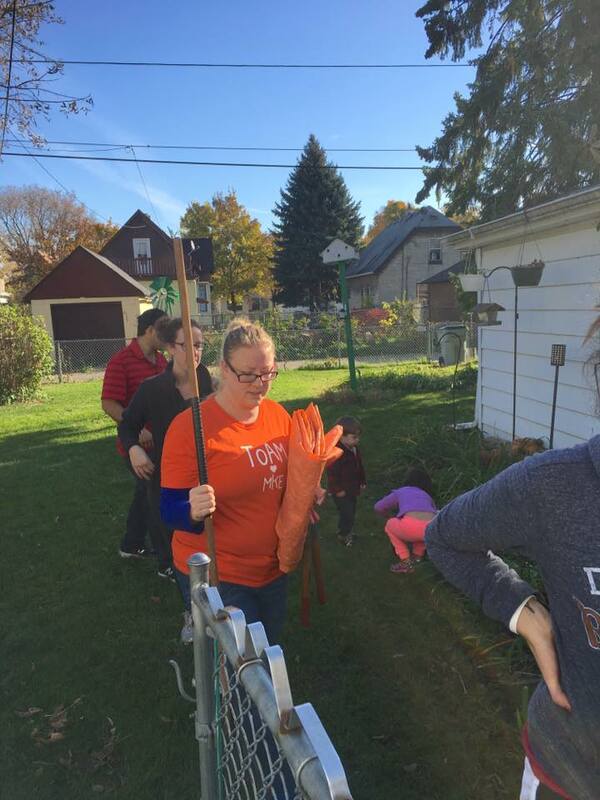 It was sunny and nearly 60 degrees on the early November Saturday TOAM families (along with the Harambee Great Neighborhood Initiative (HGNI)) gathered in the Harambee neighborhood in Milwaukee. 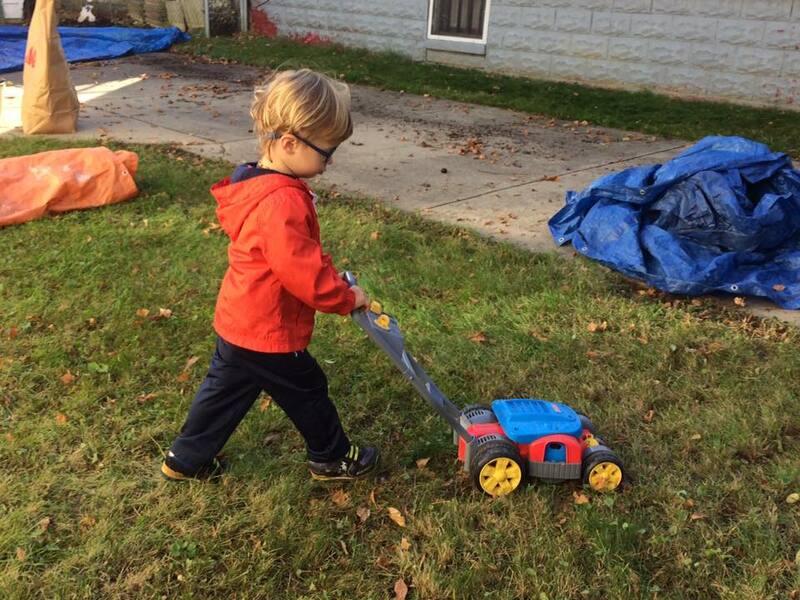 This particular mission was to help elderly homeowners prepare their yards for winter. 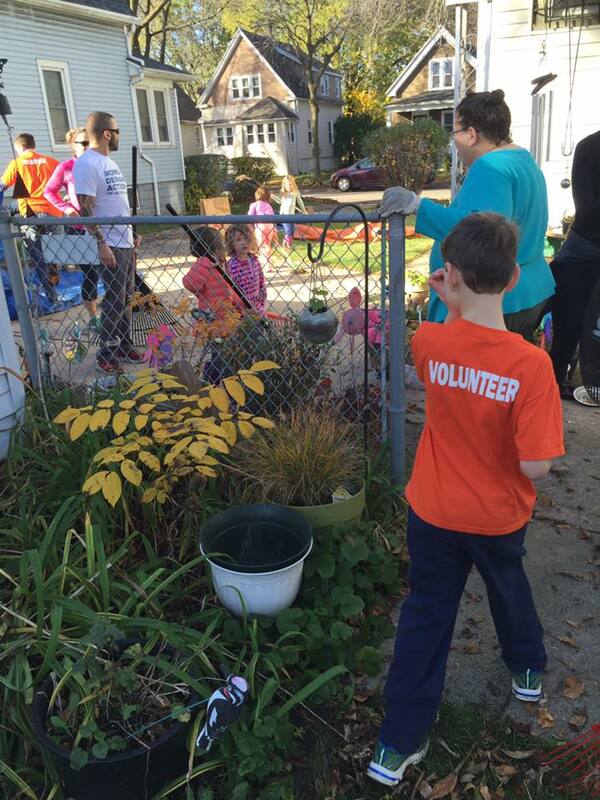 The TOAM mission was part of a bigger event that day sponsored by Interfaith Older Adult Programs in Milwaukee. 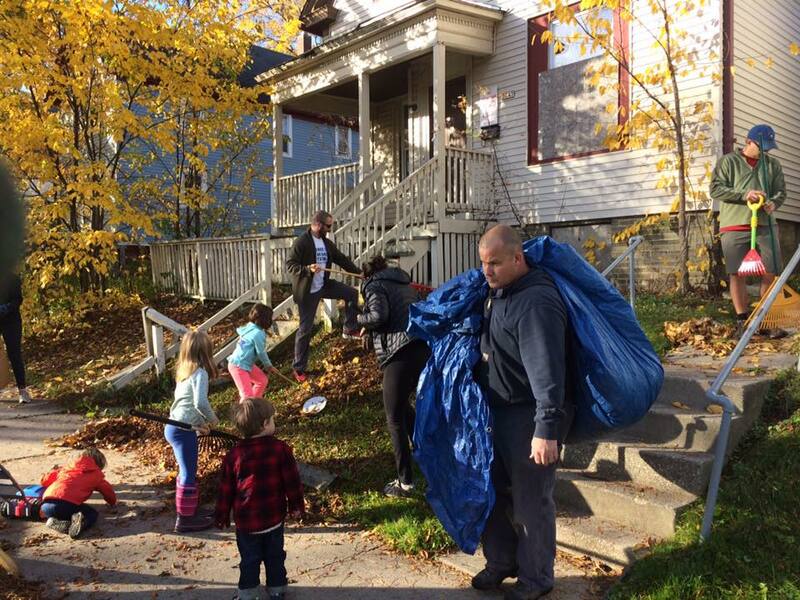 All in all, more than 1,100 volunteers ended up helping over 220 homeowners in need! 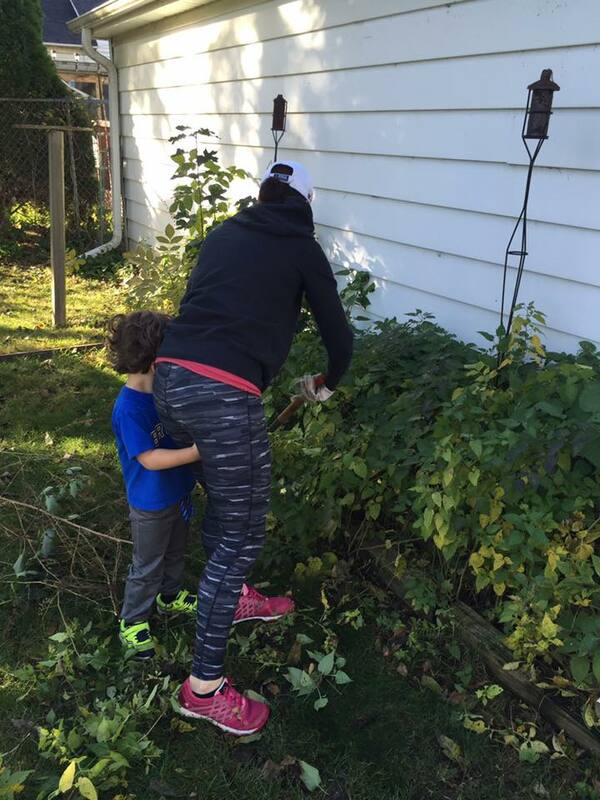 TOAM families worked (and played) together to provide raking, hedge trimming, brush-hauling, weed pulling, and small tree removal. 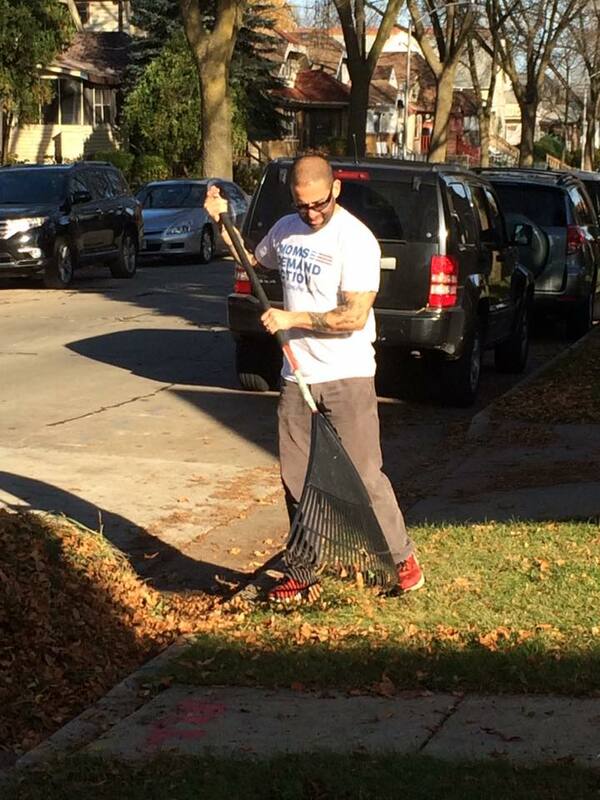 Everyone worked so efficiently that they were able to expand their help past the two homes originally assigned! 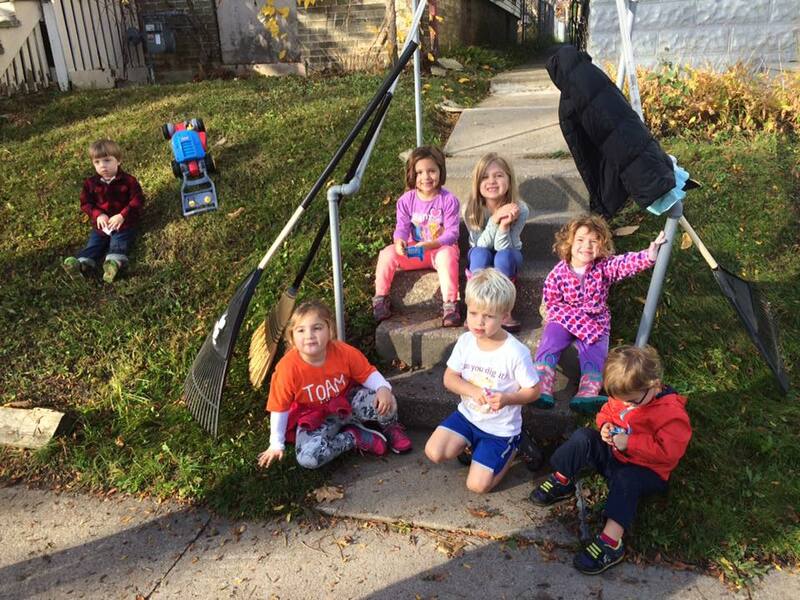 TOAM families raked other neighbors' yards and even helped remove garbage from an empty lot. The children even befriended a kitten who was recently orphaned. At the end of the day, much more was accomplished than caring for the landscape needs of the properties. One of the homeowners beamed with happiness just as we were saying goodbye. The love and pride she had in her home was evident by her carefully tended potted plants, rose bushes, and trees throughout her yard. She mentioned how it was now too difficult for her to physically manage these things on her own. 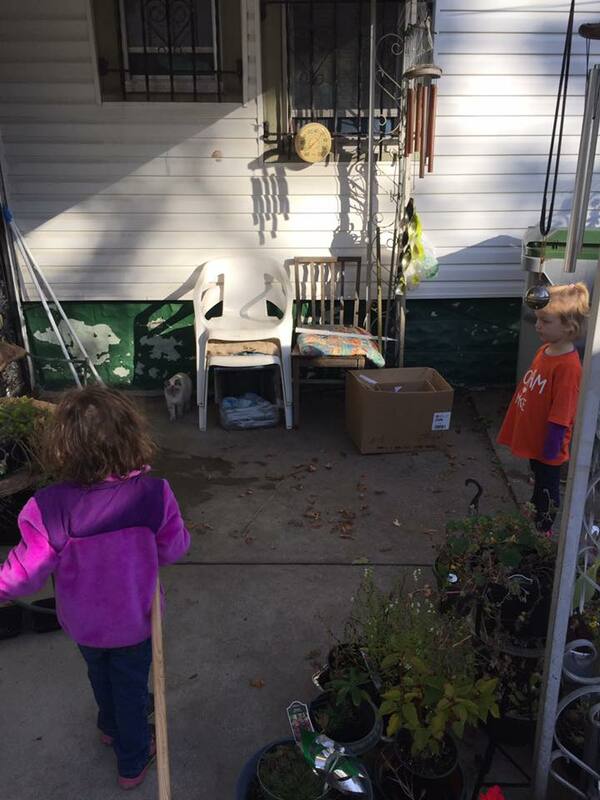 She was so grateful for the time and love we put into sprucing up her yard and exclaimed, "It looks so different! Thank you so much." Another mission has been accomplished! I am so grateful for these opportunities to show love to our community. These moments are so important to parents, kids, and the people we serve. Thanks for joining us! Older PostHalloween at St. John's on the Lake, Year 3!